The Seattle Symphony Orchestra, with music director Ludovic Morlot in his sixth season, announces the 2016-17 season, which includes premieres, THEESatisfaction, violinist Hilary Hahn and pianist Yuja Wang. 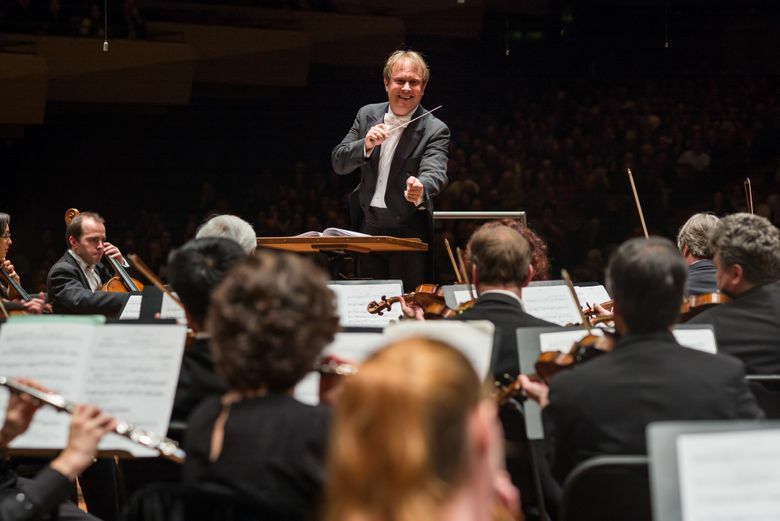 Fresh from a Grammy win, the Seattle Symphony is preparing for a 2016-17 season that will include the return of the popular Sonic Evolution and [untitled] series, premieres of new works and the maestro’s first opera in Benaroya Hall. The orchestra will launch the season on Sept. 17 with the annual opening-night concert and gala, with renowned American mezzo-soprano Joyce DiDonato as the guest and the traditional mix of works by American and European composers. • Two Sonic Evolution concerts saluting, and inspired by, local musical icons. The fall Sonic Evolution will focus on grunge, indie rock and funk, and will feature the world premiere of Kenji Bunch’s Afrobeat-influenced “Megalopolis.” The spring concert will feature Seattle R&B/hip-hop duo THEESatisfaction, which will perform a world premiere by composer Judd Greenstein. • Guests include cello superstar Yo-Yo Ma; violinists Joshua Bell and James Ehnes; Gustavo Dudamel and the Los Angeles Philharmonic; pianists Emanuel Ax, Alexander Melnikov and Yuja Wang (Wang will perform a duo recital with violinist Leonidas Kavakos); and the King’s College Choir. • Featured artist Hilary Hahn. The violinist, a favorite of Seattle audiences, will perform in the Masterworks and Distinguished Artists series, and in keeping with her mission of music education, she’ll participate in the symphony’s education and community-engagement programs. • New SSO-commissioned works by Agata Zubel, the Polish composer/musician The New York Times called “contemporary music’s multiple threat”; Gabriel Prokofiev, DJ/musician/record label founder and grandson of Sergei Prokofiev; and Pulitzer Prize winner Aaron Jay Kernis. Patrons will also hear a premiere of a piece by Scottish composer Helen Grime. • Principal guest conductor Thomas Dausgaard returns for his third season of specialty programs. He’ll conduct Carl Nielsen’s Symphony No. 3, as well as all-Rachmaninov and all-Strauss evenings. 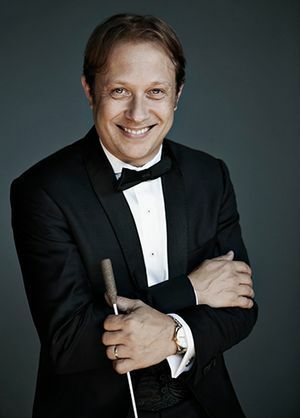 • Ludovic Morlot, in his sixth season with the Seattle Symphony, will conduct his first opera in Benaroya Hall, Ravel’s “L’enfant et les sortilèges” (“The Child and the Spells”), and will continue the orchestra’s two-year Beethoven cycle with appearances by guest pianists Inon Barnatan, well known to Seattle Chamber Music Society audiences, and powerhouse player Emanuel Ax. Subscriptions are now on sale; tickets for individual concerts go on sale Aug. 6. Information: 206-215-4747 or seattlesymphony.org.